Are Savings Bonds still worth investing in? Home > News > Are Savings Bonds still worth investing in? If you’re serious about savings and investments, the simple answer is ‘yes’. If you want to put money away for a year or more, and can afford to do it, savings bonds can offer a better rate of interest and lower risk than almost anything else available in the savings market. They also provide stable and safe cash flows. With many savings bonds you can choose to get your interest monthly if you want to, rather than once a year. This can be useful for those of you who want to receive an income from your savings or for pensioners who’d like some extra money to top up their pension. But which type of savings bond is best for you? There are two types of bonds to consider - fixed rate or tracker. First, let’s take the fixed rate bond. 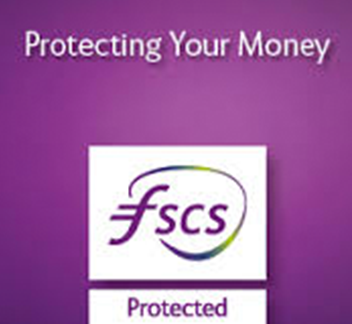 With fixed rate bonds you have the security of knowing you will earn the same rate of interest for life of your bond. This offers certainty if you need a regular income from a lump sum of money, or if you are looking to save for something specific. With tracker bonds, the interest paid on your savings account is variable. The rate is variable because it tracks the Bank of England base rate. When the Bank of England base rate goes up, your interest rate will rise with it. The question is, do you want to play safe with a fixed rate, or take the less certain tracker? If rates go up you can earn more interest, but if they go down it is likely you will earn less. The terms for bonds are usually between one and five years, and minimum amounts range from five hundred to one thousand pounds. How much can you afford and for how long, can make a difference. The interest you earn is generally higher the more money you put in, likewise if you leave your money in for more than a year, you may also get a higher rate. Just remember that once your money is invested, unlike stocks and shares, it is very difficult to withdraw before your term is up, so if you might need your money in a hurry, ask if that is possible before signing on the dotted line. If you’re serious about your savings, and you have the means to, it is worth considering bonds as part of an investment portfolio. They provide stable interest earnings, which could be vital for an investor who is in the asset drawdown or capital preservation stage of their investment planning, and for investors nearing that stage.